The December 2017 issue of History of Psychiatry is now online. Articles in this issue explore connections between psychology, psychiatry, and philosophy, nineteenth century insane acquittal policy, LSD experiments in the United States Army, the use of ECT for mass killing by the Nazis, and much more. Full details below. Maurice O’Connor Drury (1907–76), an Irish psychiatrist, is best known for his accounts of his close friendship with the eminent twentieth-century philosopher, Ludwig Wittgenstein. His only book, The Danger of Words (1973), was well received by those who had an interest in the relationship between psychiatry, psychology and philosophy. This article concentrates on Drury’s experiences, studies and writings in these fields. A current situation in Connecticut of whether a violent insane acquittee should be held in a state prison or psychiatric facility raises difficult issues in jurisprudence and medical ethics. Overlooked is that the present case of Francis Anderson reiterates much of the debate over rationalization of policy during the formative nineteenth century. Contrary to theories of social control and state absolutism, governance in Connecticut was largely episodic, indecisive and dilatory over much of the century. The extraordinary urban and industrial transformation at the end of the Gilded Age finally forced a coherent response in keeping with longstanding legal and medical perspectives. The June 2016 issue of History of Psychiatry is now online. 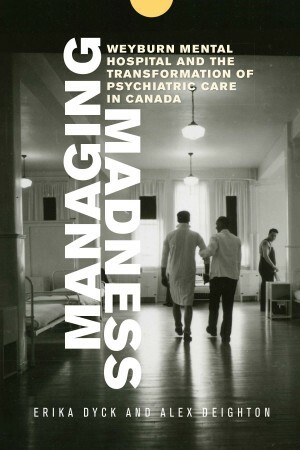 Articles in this issue explore psychiatric semiology, the German Research Institute of Psychiatry in Munich, madness in novelist Muriel Spark’s work, LSD as treatment in Denmark, the DSM and learning disabilities, Joseph Mason’s madhouse, and the work of Max Scheler. Full titles, authors, and abstracts follow below. This article addresses some important questions in psychiatric semiology. The concept of a sign is crucial in psychiatry. How do signs emerge, and what gives them validity and legitimacy? What are the boundaries of ‘normal’ and ‘pathological’ behaviour and mental experiences? To address these issues, we analyse the characteristics and rules that govern semiological signs and clinical elements. We examine ‘normality’ from the perspective of Georges Canguilehm and compare the differences of ‘normal’ in physiology and psychiatry. We then examine the history and the philosophical, linguistic and medical-psychiatric origins of semiology during the eighteenth and nineteenth centuries (the Age of Revolution). The field of rhetoric and oratory has emphasized the importance of passions, emotions and language as applied to signs of madness. Another perspective on semiology, provided by Michel Foucault, lays stress on the concept of ‘instinct’ and the axis of voluntary-involuntary behaviour. Finally, we analyse how statistics and eugenics have played an important role in our current conceptualization of the norm and therefore the scientific discourse behind the established clinical signs. And from our present-day vantage point we may well feel similarly. Taking the context of 1960s and 70s psychiatry into account, however, the ethics, or lack thereof, of the program are less clearcut. At the time, Oak Ridge’s use of LSD and other psychopharmaceuticals – alongside other therapies – was seen as a positive form of treatment and a promising advance in the field. Where the CBC segment is most successful is in presenting the patient’s voice, as he recounts his experiences at the hospital. Respecting this patient’s experience, while putting that experience into historical context is a fine balancing act, one, unfortunately, “The Secrets of Oak Ridge” does not attempt. Contextualizing these treatment practices does not mean invalidating the experiences of this or any other patient, but it is necessary for a more complete understanding of what transpired at this hospital in this moment in time.